Having just reported on mixed martial arts (MMA) fighter Amanda Nunes becoming the first openly gay UFC champion yesterday, Compete went into its archives for TBT. 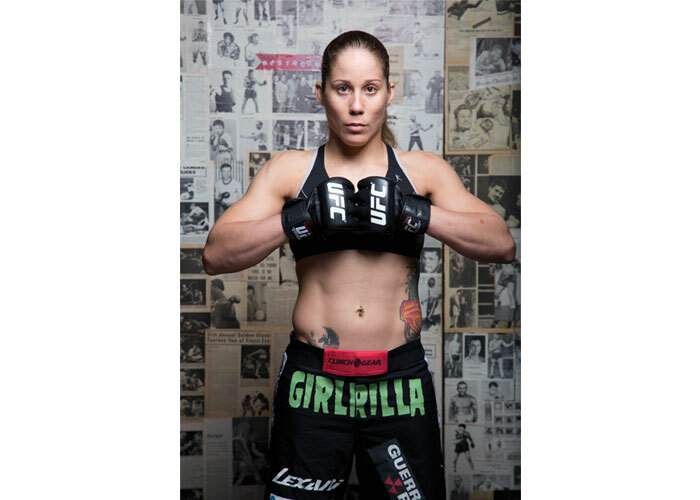 Here is a story we did on the first openly gay MMA fighter back in 2013 – Liz Carmouche, affectionately known as the Girl-rilla. She came out a month before MMA fighter Fallen Fox. Enjoy! On February 23rd in Anaheim, California, history will be made when the UFC (Ultimate Fighting Championship) holds its first-ever women’s fight in the UFC 157 as the main event. Matched in this inaugural women’s championship competition will be newly-crowned UFC Women’s Bantamweight (135 pounds) Champion Ronda Rousey and her challenger, Liz Carmouche, the first openly gay athlete in MMA (Mixed Martial Arts). Unlike WNBA, WTA and other women’s sports leagues, the UFC women’s division takes place on the same events as the men. But history is being made twice on the 23rd. More than simply being about two women on the fight card for the first time, the most exciting fact is Carmouche’s status as the first openly gay fighter in MMA. There’s lots of buzz in the UFC community over the match, mainly because she wasn’t high on the UFC’s list when they were looking for an opponent for Rousey’s first title defense. Although other fighters were contacted, they all turned the fight down – all that is except Carmouche who had been trying hard to get a match with Rousey. She’s not concerned about being ready for this fight, though. While most opponents don’t start training until a fight has been offered, she says she’s been training for it since Rousey won the title. With some big fight experience to her credit (she challenged for the Strikeforce belt against Marloes Coenen and lost), Carmouche’s MMA pro record lists seven wins and two losses – the feeling is that she is as ready as anyone else who has stepped into the cage with Rousey. Carmouche recounts that to this day, Kim “thanks me for changing her views on gay people and now says she can’t imagine why she was ever homophobic.” It was this experience in addition to the support of her family, including her long-time partner, Elisa (a boxer in her own right), that encouraged her to come out as the first openly gay fighter in MMA. When asked if there was anything she wanted to share with Compete readers, Carmouche was eager to have you know about the wonderful diversity within MMA. She says that while many people not familiar with the sport think all MMA fighters are “meatheads,” that’s not true. She says that although they represent everything from Ph.D.s to street people, in the end they are all true athletes. We wish you well in both your upcoming fight and your MMA career – you go, Girl-rilla!